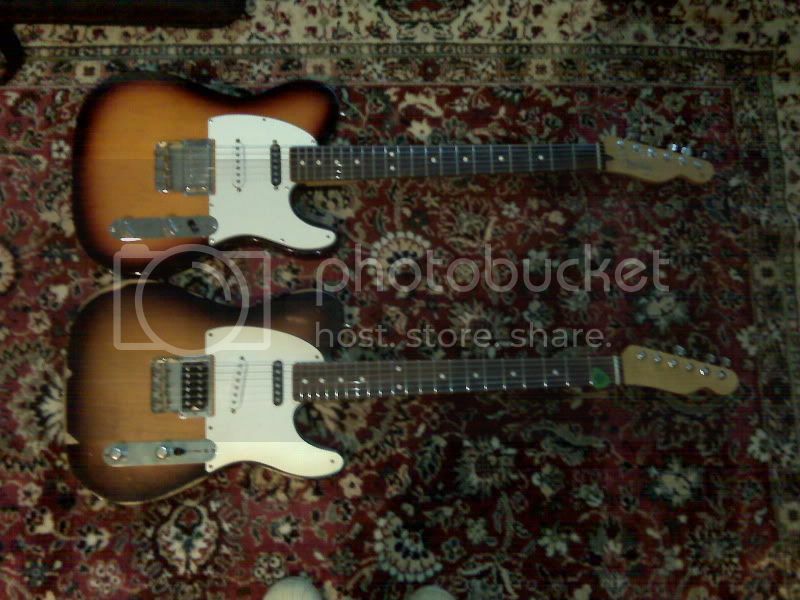 The Danelectro OD has already been replaced since that photo was taken. It's now got a Cream Pie Deluxe in its place, a kind of full-frequency rangemaster of sorts. Nothing too out there, save for the rack unit under the big rackmount analogue delay. That's a Sony DPS-V77, and is mindblowingly powerful. The midi stuff is all just for that unit. 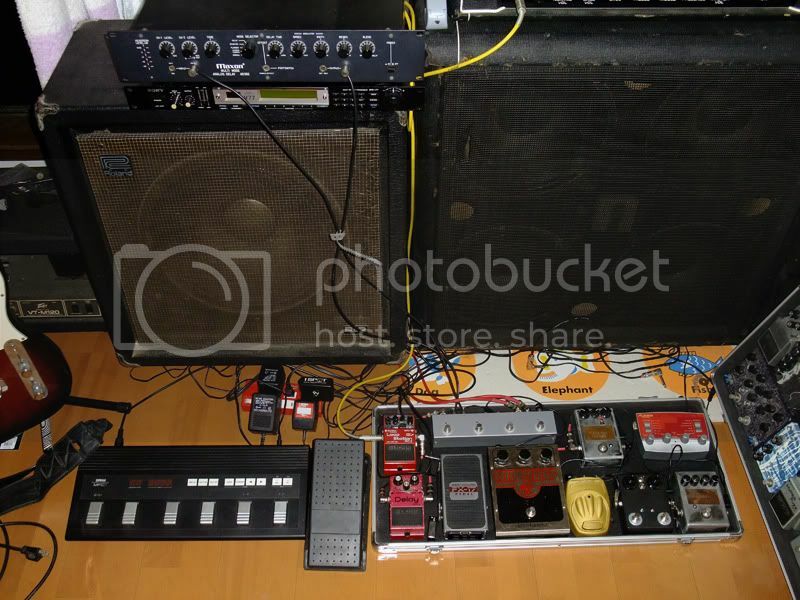 Re: POST YOUR PEDALBOARD / GEAR! The Gameboy Effect - Insonicbloom's slightly disfunctional (and damned fragile) take on Tim Escabedo's PWM+LFO. It doesn't work, but the way it doesn't work makes it awesome. 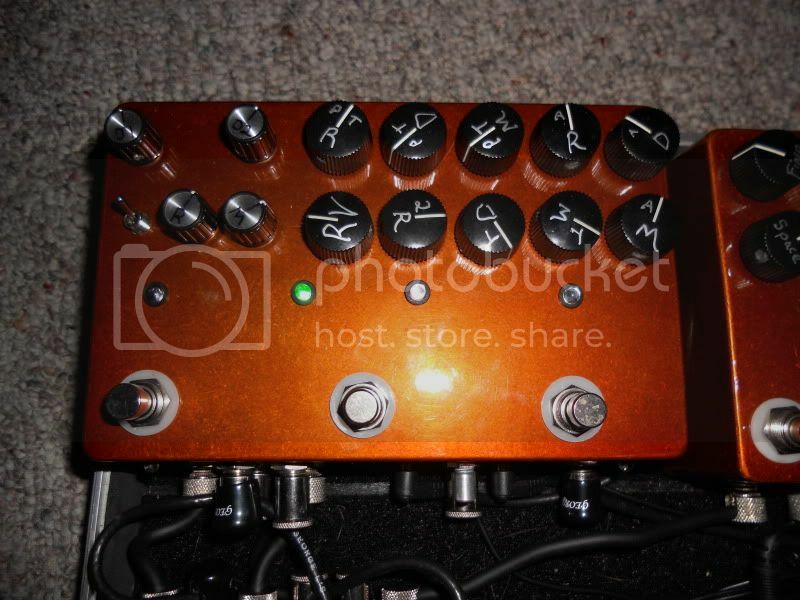 Clone Abduction - The only pedal here that's a re-housed commercial pedal. I bought a tatty old Small Clone and made it pretty. Danger! High Voltage - A bit of a lie, it's only 12v. It's a EF86 valve boost again frigged to use different valves. 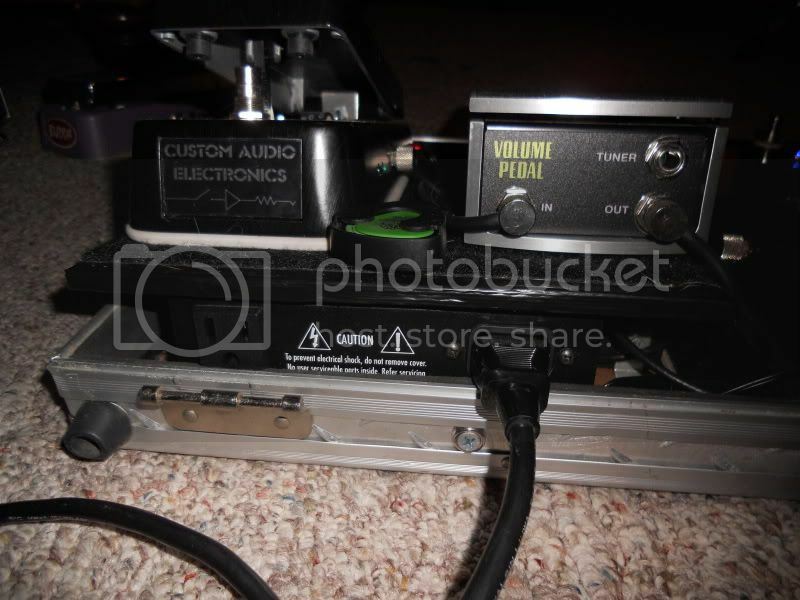 Also added tone, gain and selectable clippers. Elunium PU-36 Explosive Space Modulator - Tim Escabedo's Uglyface + LFO and mods. Actually in bits at the moment as the LFO section has never worked correctly. I've re-assembled it as a Uglyface and wi'll be dropping in a new LFO on Thursday hopefully. Snow White - Mad Professor Snow White Auto Wah. Built on a GuitarPCB board. Darkside - Cornish G-2. My first Madbean build. It has a 100K pot in place of the 10K vol to make it a little more flexible. The big thing on the bottom right is the Vibratron - It's a EF86 boost into a Vibracaster. ^YES! Juansolo I love your work. ZVex-in-a-box is one of my faves. Cheers! I do like that, even if it's a bit surreal. I also seem to rotate them a lot as I've built quite a lot more than this, but a lot of them get recycled for parts if I'm not keen. Leaving me with just the stuff I really like (and the SG-1, which kinda freaks me out and I'm not that keen on. I just keep it as it's a nice build). It's also dawned on me looking at that, that I have the right knobs for the COD kicking around, I must swap them over. 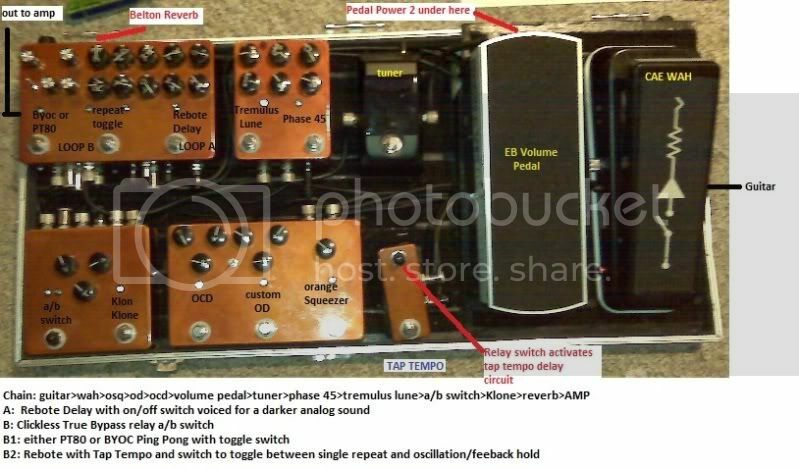 I'm curious about your tube-based pedals. what are they? what voltage are you operating them at? Holy crap Juansolo!!!!! They all look outstanding! Give me a bit I've got to square mine away. With the new builds and I just grabbed a used TC Elec. Nova Delay mine is kinda in a state of flux rght now. But I'll have something close to being finalized tonight I think Peace. J.J.B. Ok this not anywhere near done. The last three in the front end chain from the left are my Yellow Shark, Neutrino Burst, and the Egodriver. I just threw this together to play through tonight. There is still to many for my taste. My Holy Grail is up on the amp. I realy like it as "grab and go" as it can get and it ain't there yet. Peace. J.J.B. I keep my unused pedals in either two drawers of an old dresser and/or a laundry basket for easy transport to the amp room. I'll have to take pics of that. lol I've got a few. The Twincaster (Thermionic OD II) and Vibracaster (Vibradrive) are running 12DW8 valves that were designed for car audio use and are running correctly at 12v. The Prom Girl is one of Rick Holt's designs and I think it charge pumped up to about 80v or so (Rick can correct me on that one if I'm wrong). The others are mostly 12v but not feeding the heaters as much power on them as maybe they should. They still work nice though. The Twincaster is my fave though. It does an incredibly close impression of an amps OD stage. Brilliant thing and I'll be making a new one shortly for someone which will allow me to tweak it a little more too. It's massively power hungry though. The thing draws nigh on 1A on it's own. The thing draws nigh on 1A on it's own. 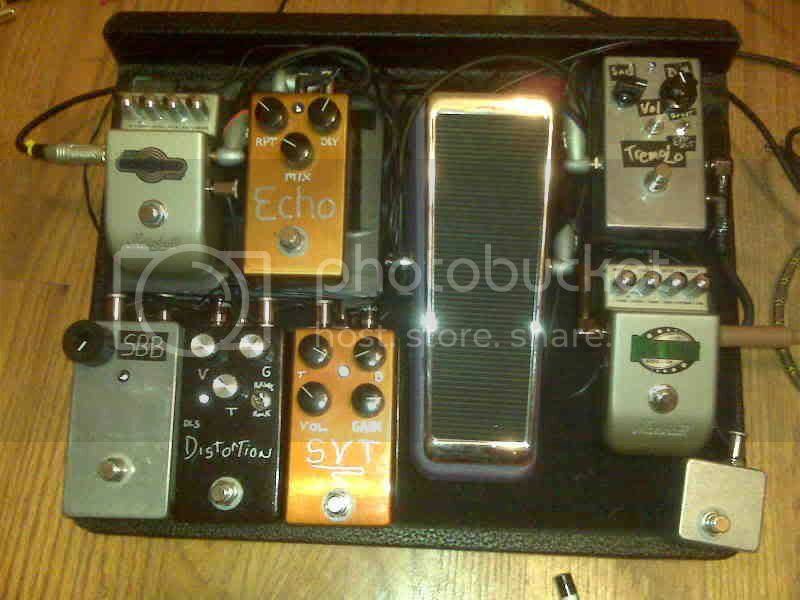 Heres my pedals, built a few more since this. Everything on the board is diy. Top from right to left:whammy iv, crybaby 535q wah, box of metal, danelectro tuner, behringer uo300, boss rc-2, and modded metal zone. 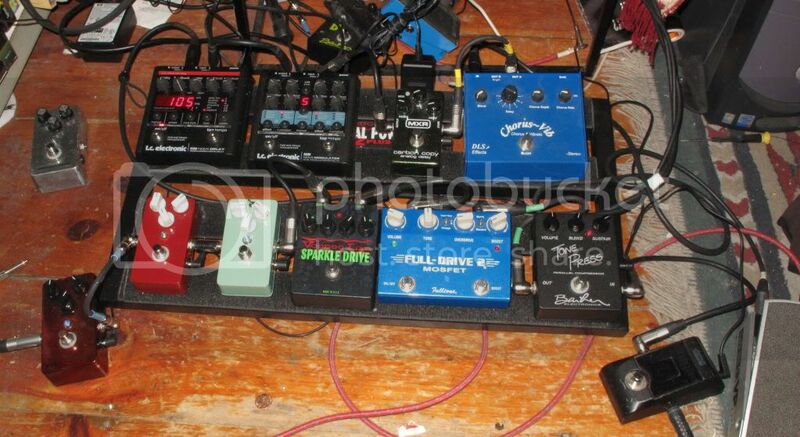 Top row of the board right to left: snow white into causality 4 phaser, atoner, tap tempo tremolo, 7k phaser fleur, stage 3. 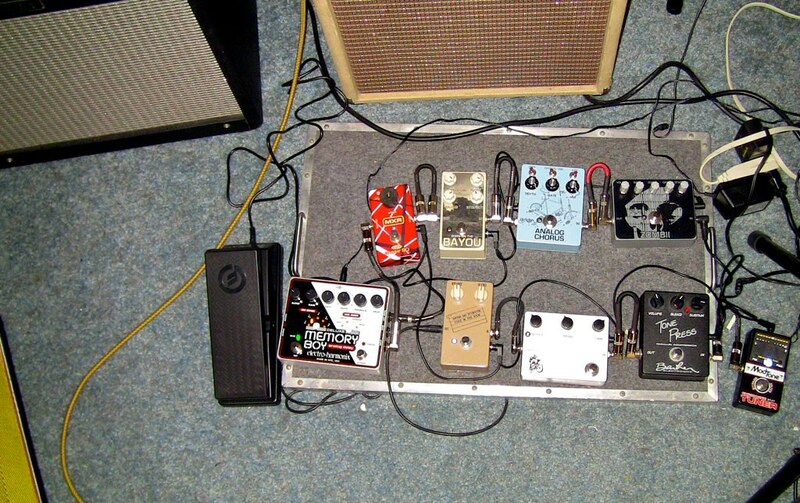 This is my current pedal board... I am missing my slow loris because a friend borrowed it for a recording and I am waiting on it to come back. 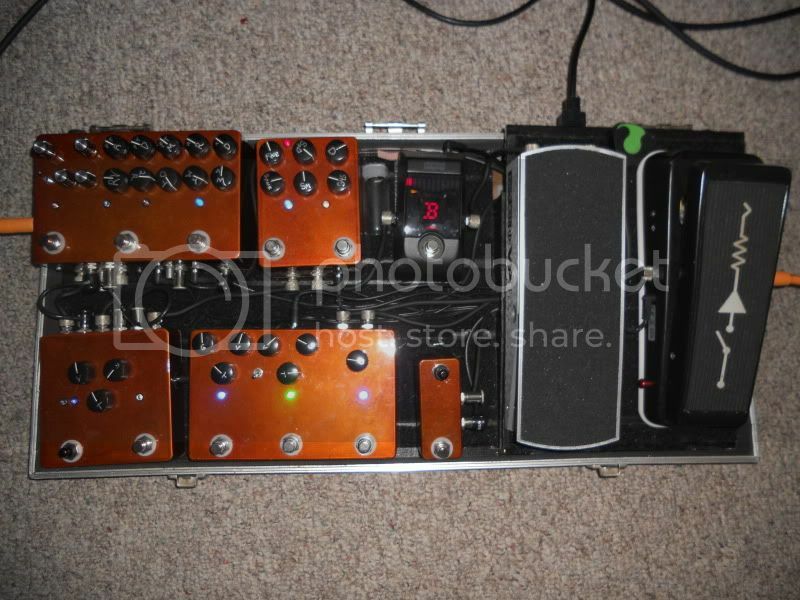 modtone tuner,barber tone press,sunking,mxr bluebox clone with volume mod, zombii fuzz, pork barrell chorus, double flush trem, phase 90, deluxe memory boy, moog expression pedal into the deluxe memory boy. I am about to loose the phase 90 because it is borrowed but I don't use it as much as I used to anymore. I generally go into my carmen ghia clone or a crate vintage club 20.